We are members of the student council. 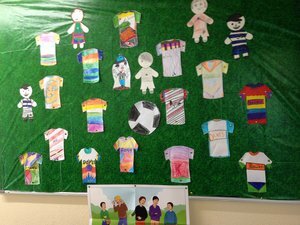 We are working on anti-bullying posters and you can see our football defensive line against bullying on the noticeboard outside Ms. Byrne's room on the top corridor. We are now working on encouraging safety in the car park and school grounds. We will be putting on a display and carrying out a survey.